Deciding between Reverse Budgeting and Forward Budgeting is one of the first things to do when creating your budget. Save a set amount each month to reach your goal. You have a hard time sticking to your budget. You succeed with a strict and well planned structure. You know how much money you will need and when you will need it by. Forward Budgeting ‘Forward Roll’ in three steps. Take this quiz to see which budgeting type suits you best. Feel free to use a made up name. Or, if you prefer to take the quiz by hand, the questions and scoring are listed below. 1. You earn $100 extra cash. What do you do? 2. You are saving up for a new car and need $5000 more. What do you do? 3. Which of the following best describes your five-year plan? a. I live life one step at a time. Plans will change so why make plans? b. I have specific goals and have strategized how to achieve them. c. People actually plan that far in advance? d. I know where I want to be and I will take whatever path presents me with success. 4. How do you prepare your grocery list? a. I don’t, I shop each time I need to cook. b. I prepare a shopping list before and only veer from it occasionally. c. I don’t write a list but I have a general idea of what I need when I go. d. I eat out, so I don’t grocery shop. 5. How do you handle household chores? a. I write a to-do list and check each item off the list as I complete it. b. I let it go as long as possible then clean right before company comes over. c. I have a routine that I follow to keep me on track. d. I don’t clean unless I have to. Add one point for each of the following options you chose. 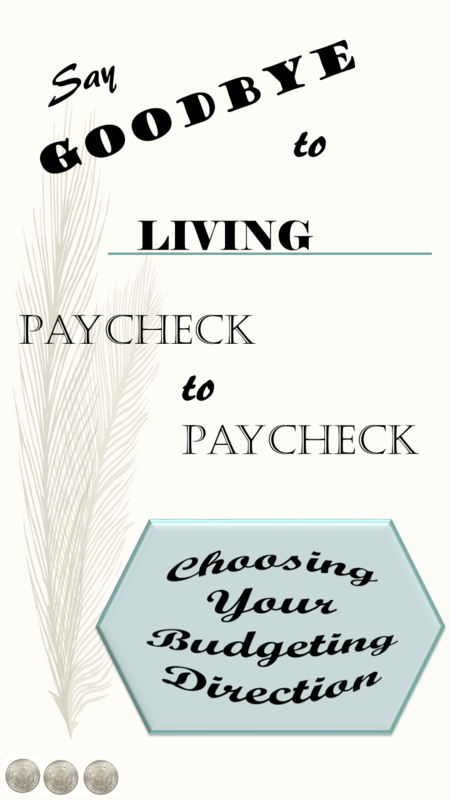 1-2 Points: Reverse Budgeting – You thrive in a structured environment. You like to be in control of what happens and would prefer not to encounter many unknowns. You’ve realized that money is not the most important thing in life. Reverse budgeting is best for you because it allows you to create a structured budget to follow but still allows for carefully planned changes. 3-5 Points: Forward Budgeting – You are organized and proactive. You know that there are multiple ways to reach an end goal and that as long as you keep moving forward, you will get there. You are also responsible with your money which allows for some flexibility in the budget. Forward budgeting is best for you because it gives you the freedom to make changes to your budgeting strategy at any time. Informative post. and quite helpful. I will consider these points for sure and plan according to them. It gives me direction how to plan. Some really good tips. I might need to apply these, because I spend money like water and could use a budget. useful and resourceful for more better planning, thanks for the share. Thank you for this budgeting tips! I found that survey really helpful. Gotta start saving. Just so tempting with all these deals during the holidays.